Zuckerberg said on Tuesday his company would step up efforts to block hate messages in Burma as he faced questioning by the US Congress about electoral interference and hate speech on the platform. Facebook has been accused by human rights advocates of not doing enough to weed out hate messages on its social media network in Burma, where it has become a near-ubiquitous communications tool following the opening up of the economy. “This is a historic commitment from Facebook to a 24-hour review time, and one we have been begging for,” said Yangon-based social media analyst Victoire Rio, of Zuckerberg’s commitment to remove within a day posts that may spur violence. “It is still unclear how they intend to demonstrate that they are meeting these targets. … We will continue to monitor them,” said Rio, who was involved in an email exchange between Zuckerberg and several Burmese civil society groups on Facebook’s effectiveness in detecting and curbing hate speech. Nearly 700,000 Rohingya have fled Burma’s Rakhine State and crossed into Bangladesh since insurgent attacks sparked a security crackdown last August. The United Nations and the United States described the situation as ethnic cleansing, an accusation that Burma denies. “What’s happening in Myanmar is a terrible tragedy, and we need to do more,” Zuckerberg said during a five-hour joint hearing of the Senate Commerce Committee and Senate Judiciary Committee. Marzuki Darusman, chairman of the UN Independent International Fact-Finding Mission on Burma, said in March that social media had played a “determining role” in Burma. He said a Facebook team would also make undisclosed product changes in Burma and other countries where ethnic violence was a problem. But Jes Petersen, chief executive of Yangon-based Phandeeyar, which helped Facebook translate its Burmese-language community standards, said Zuckerberg’s commitment would not be enough for a country with nearly 30 million users. Good blog post. Some tips i would like to add is that personal computer memory has to be purchased in case your computer can’t cope with everything you do with it. One can mount two RAM boards of 1GB each, for instance, but not certainly one of 1GB and one with 2GB. One should make sure the manufacturer’s documentation for one’s PC to make certain what type of memory space is essential. Good blog post. A few things i would like to bring up is that personal computer memory is required to be purchased if the computer is unable to cope with what you do with it. One can install two RAM memory boards containing 1GB each, for example, but not one of 1GB and one of 2GB. One should always check the car maker’s documentation for one’s PC to be certain what type of memory space is essential. Thanks for the recommendations you have provided here. Something important I would like to talk about is that computer system memory demands generally go up along with other developments in the technological know-how. For instance, when new generations of processors are made in the market, there’s usually an equivalent increase in the size demands of all pc memory along with hard drive space. This is because the software operated by way of these processors will inevitably rise in power to make use of the new technologies. Thanks for your suggestions. One thing I’ve noticed is always that banks along with financial institutions really know the spending behaviors of consumers and as well understand that many people max away their cards around the holidays. They wisely take advantage of this fact and commence flooding ones inbox and also snail-mail box together with hundreds of no interest APR credit cards offers shortly after the holiday season ends. Knowing that should you be like 98% of the American open public, you’ll hop at the possiblity to consolidate consumer credit card debt and transfer balances towards 0 APR credit cards. Hey very cool web site!! Guy .. Beautiful .. Wonderful .. I will bookmark your web site and take the feeds also?I am glad to search out numerous helpful info here within the publish, we’d like work out extra strategies on this regard, thanks for sharing. . . . . . Pretty great post. I simply stumbled upon your weblog and wished to mention that I’ve truly loved surfing around your blog posts. In any case I will be subscribing to your feed and I am hoping you write once more very soon! Hiya. I found a person’s website employing msn. That’s an incredibly well crafted article. I’ll be sure to search for this and come back in discover more of your beneficial data. We appreciate you the particular article.. kumpulan youtube terbaik I will undoubtedly come back. I will right away grab your rss feed as I can’t find your email subscription link or newsletter service. Do you have any? Kindly permit me recognise so that I may just subscribe. Thanks. Really enlightening….look forward to coming back again. It iss thhe best time to make some plans for the future and it’s time to be happy. So informative looking forwards to coming back. I treasure the details on your internet site. Much thanks. Hello there, very good web-site you’ve presently. Hello REUTERS, It’s a helpful website. 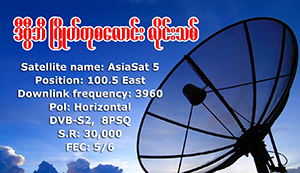 Your article Activists in Burma welcome Zuckerberg’s vows to block hate speech on Facebook- DVB Multimedia Group, So helpful for mark zuckerberg address headquarters! Can I share the post to my site? Rather revealing looking ahead to coming back. Especially educational, look forward to returning. I truly wanted to construct a quick remark in order to express gratitude to you for the marvelous information you are writing on this website. My rather long internet research has now been rewarded with good quality strategies to go over with my relatives. I would state that that most of us readers actually are truly lucky to live in a fine website with so many special people with very helpful solutions. I feel extremely fortunate to have used your webpages and look forward to many more pleasurable times reading here. Thank you once more for all the details. Really enjoyed this article, how can I make is so that I get an alert email whenever you write a new article? Youre so cool! I dont suppose Ive read anything like this before. So nice to search out any individual with some original ideas on this subject. realy thank you for beginning this up. this web site is one thing that’s needed on the internet, someone with somewhat originality. useful job for bringing one thing new to the web! My name is Aly and I would like to know if you would have any interest to have your website here at dvb.no promoted as a resource on our blog alychidesigns.com ? I do agree with all the ideas you have offered in your post. They are really convincing and can certainly work. Nonetheless, the posts are too quick for beginners. May just you please lengthen them a little from next time? Thank you for the post. Hi I am so delighted I found your site, I really found you by mistake, while I was searching on Aol for something else, Regardless I am here now and would just like to say cheers for a marvelous post and a all round interesting blog (I also love the theme/design), I don’t have time to browse it all at the moment but I have book-marked it and also added in your RSS feeds, so when I have time I will be back to read a lot more, Please do keep up the awesome job. I simply had to appreciate you all over again. I am not sure the things I would’ve achieved in the absence of the entire concepts provided by you over such a theme. It has been a traumatic crisis for me, but taking a look at your well-written strategy you treated the issue took me to cry over contentment. I am just thankful for your advice and then wish you are aware of a powerful job that you’re undertaking educating the rest thru your site. Most probably you’ve never encountered any of us. Perfect! Interesting information over this website. It is pretty worth enough for me. Personally, if all website owners and bloggers made good content as you did, the net will be a lot more useful than ever before. I couldn’t resist commenting. I have spent some time looking for such article. I’ll also share it with a couple of friends interested in it. I’ve just bookmarked this web. Now with the work done, I going to find some model gay webcams. Thank you very much!! Greetings from Los Angeles! you are in reality a good webmaster. The site loading speed is incredible. It seems that you are doing any unique trick. Also, The contents are masterpiece. you have done a fantastic process on this matter! Thank you for the auspicious writeup. It actually was once a amusement account it. Look advanced to more introduced agreeable from you! However, how could we communicate? I’ve read some just right stuff here. Definitely value bookmarking for revisiting. I wonder how so much attempt you place to make this sort of fantastic informative web site. Hiya! I simply want to give a huge thumbs up for the great data you’ve got right here on this post. I will likely be coming back to your blog for more soon.